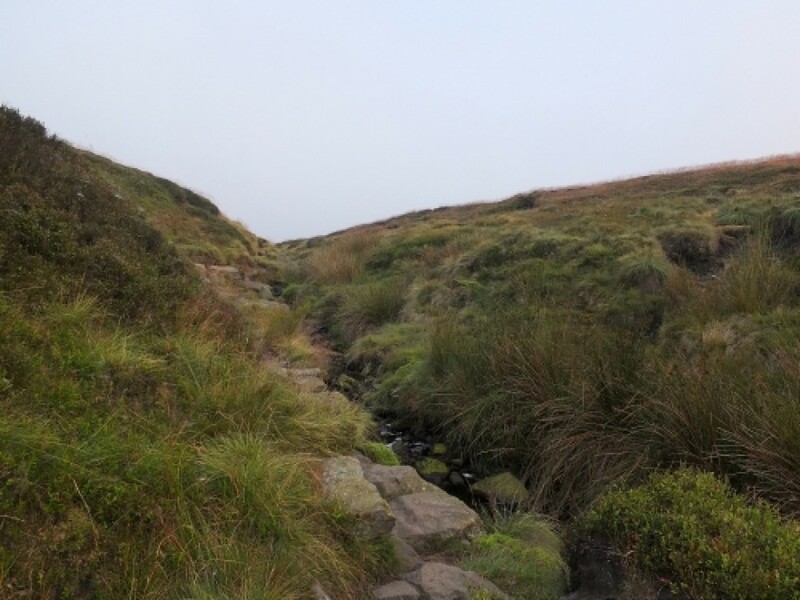 It was going to be an easy access walk from Doctor's Gate to the Boulton-Paul Defiant site at Near Bleaklow Stones with a return depending on whim and weather . 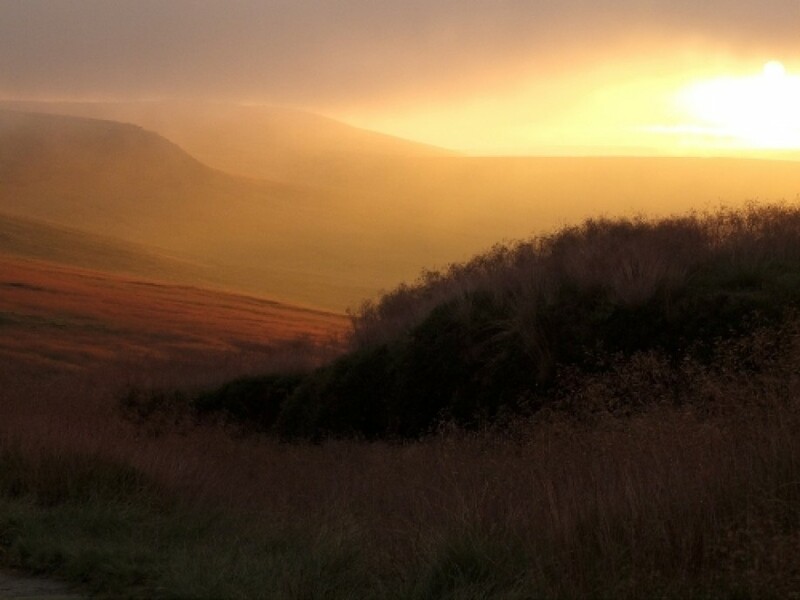 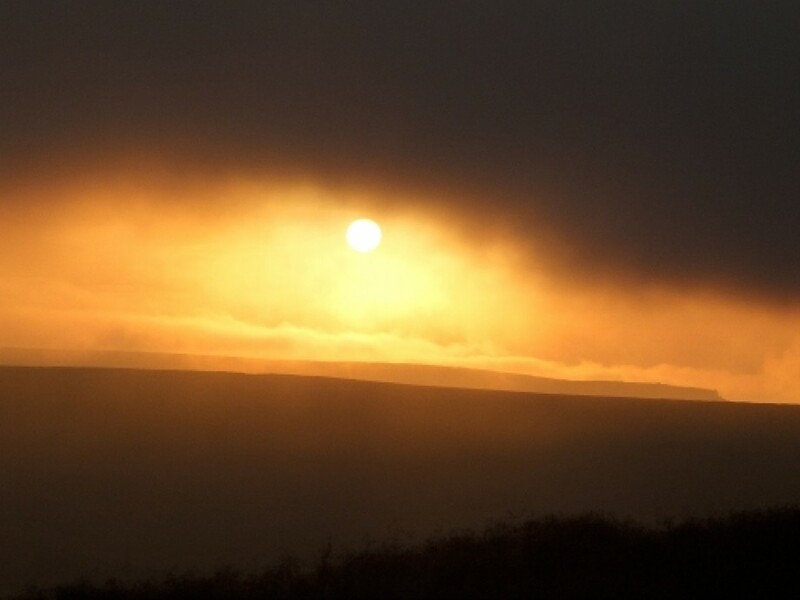 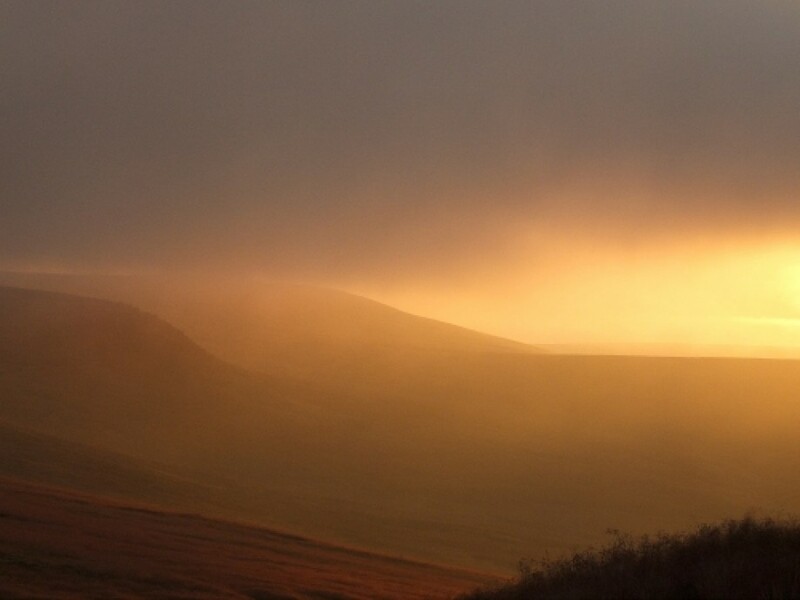 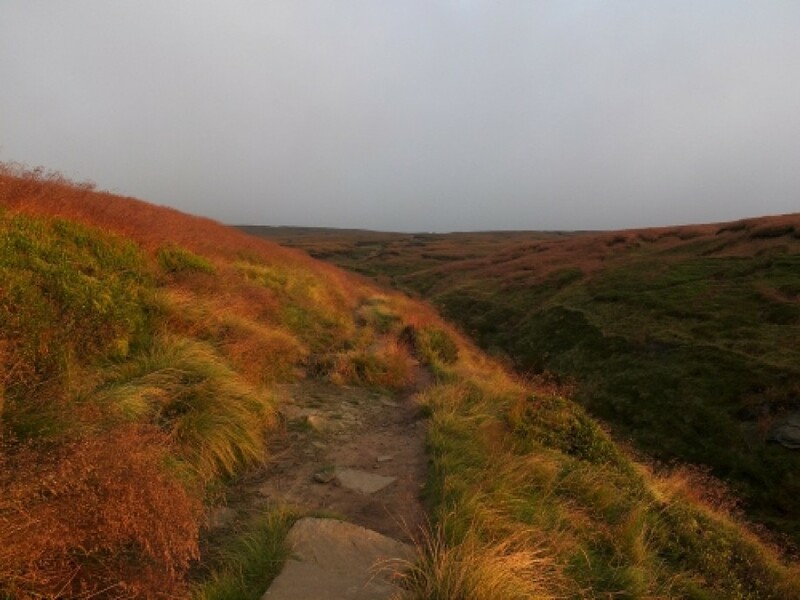 And all started well , with an impressive break-through for the sun near Hearn Clough . 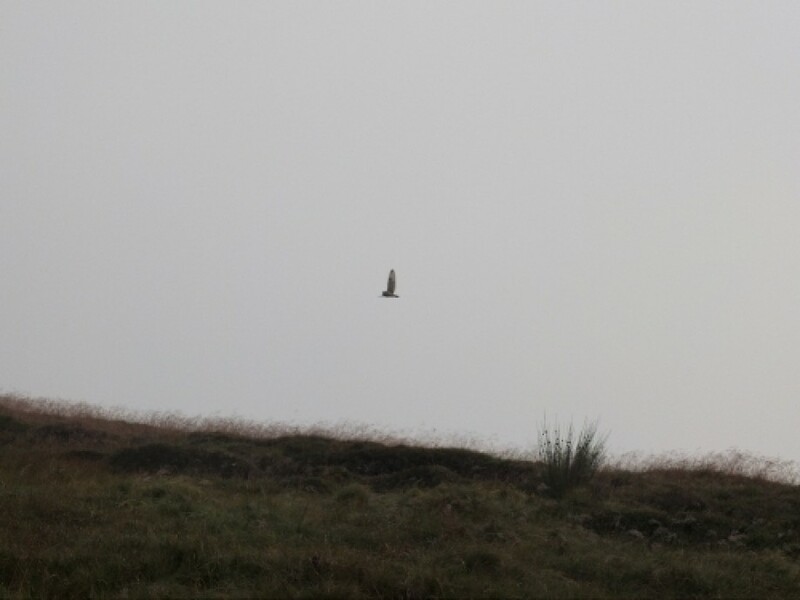 Add to that kestrels , and a close view of a short-eared owl , and the cloud over the tops wasn't much of a turn-off .Then my left foot slipped , my ankle turned , and I went off balance , banging my right knee on a rock in the process . 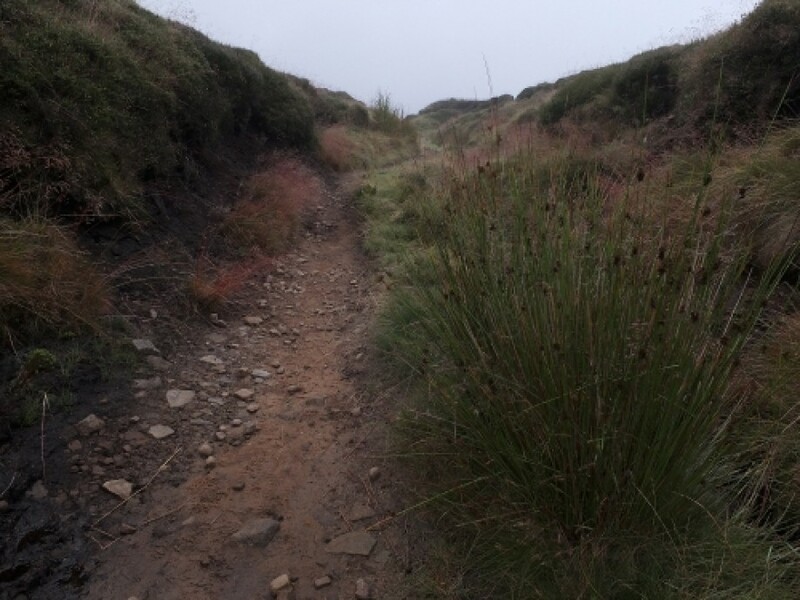 Nothing too serious I thought , a bit of pain on the foot , but those ligaments always twinge a bit , and I'll probably have a bruise on the knee along with the little cut. 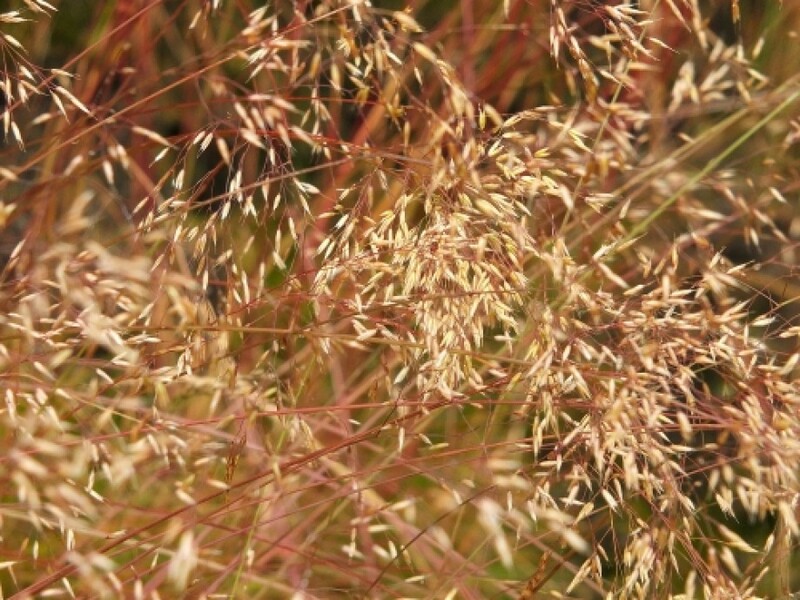 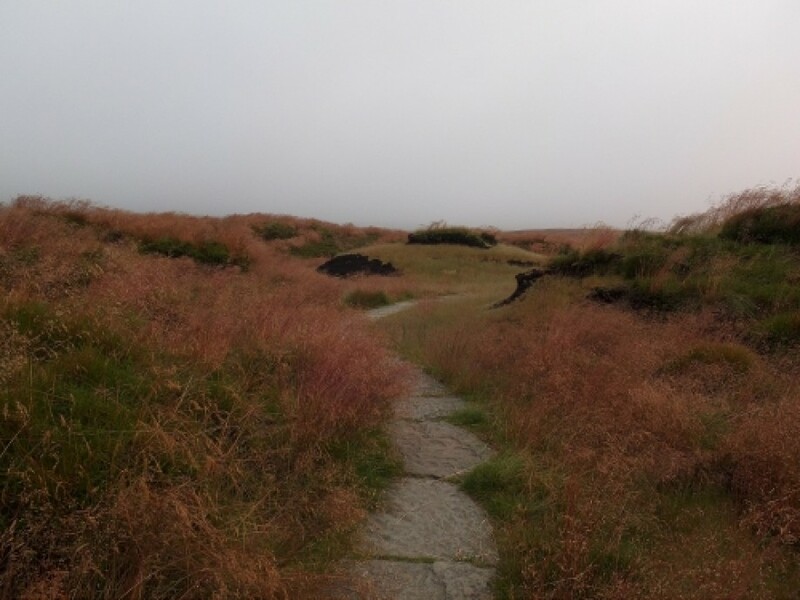 A few minutes of rest , and there seemed no reason to cut my losses , and abandon the walk . 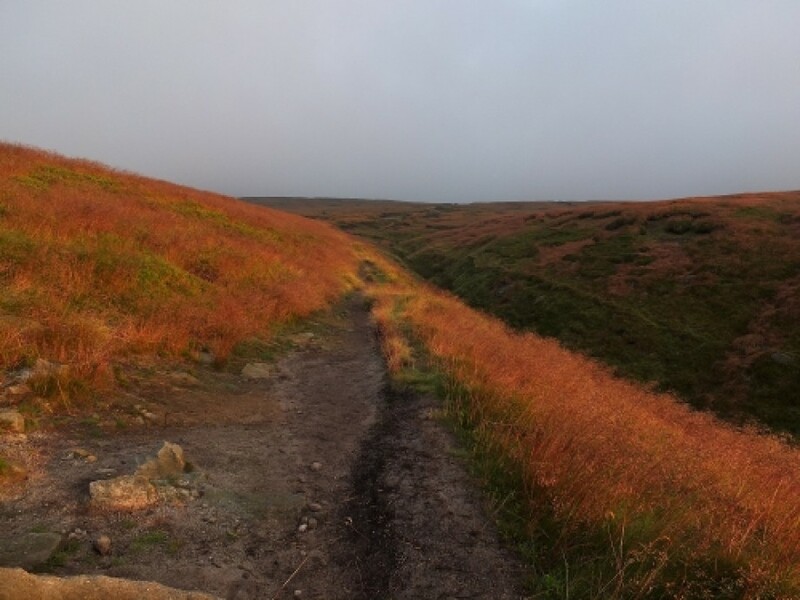 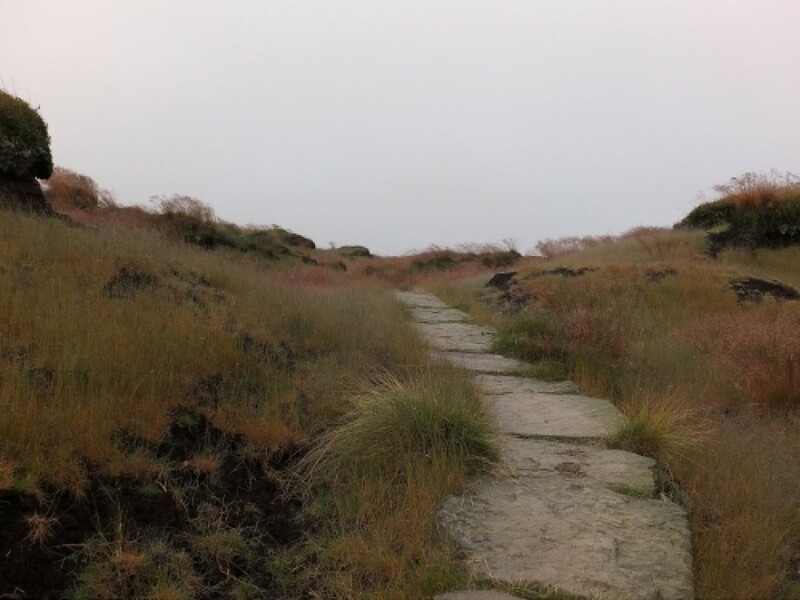 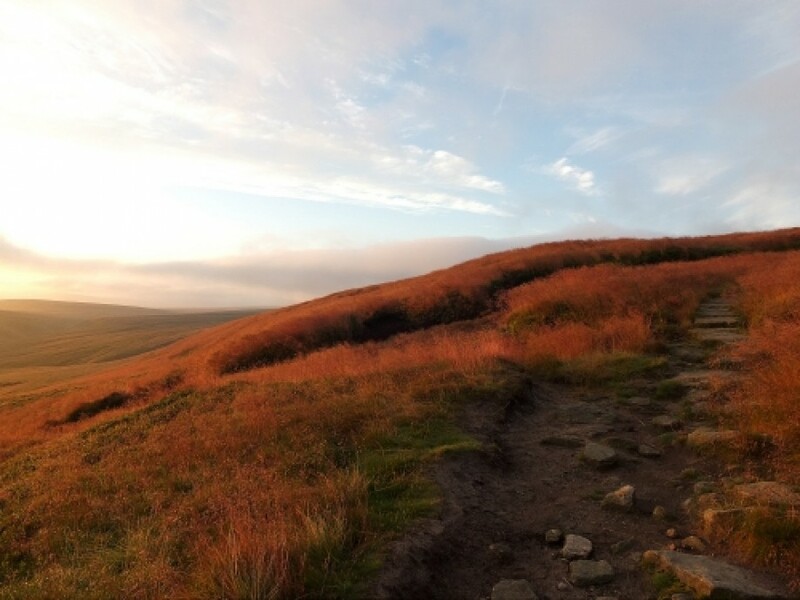 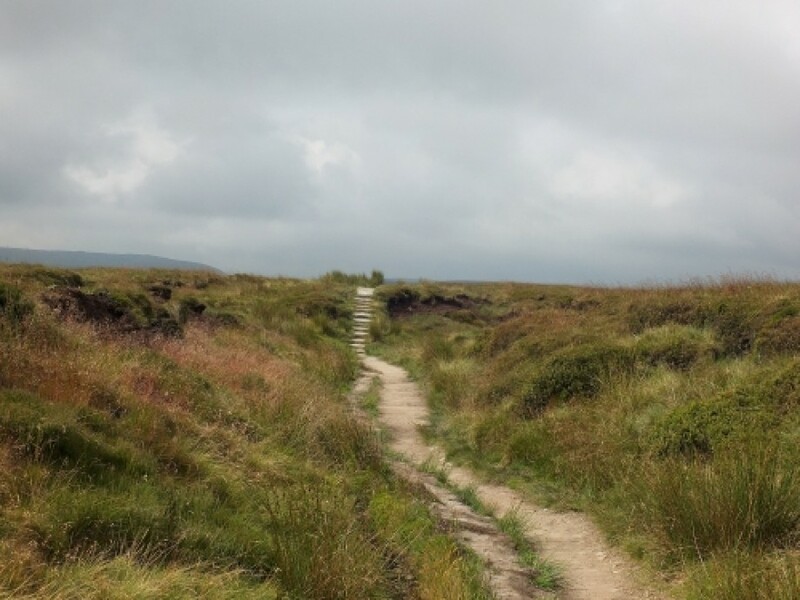 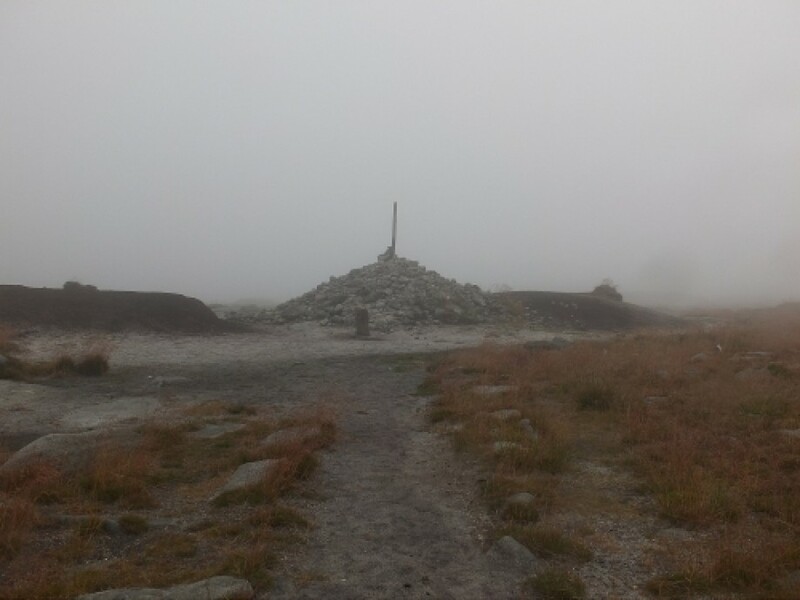 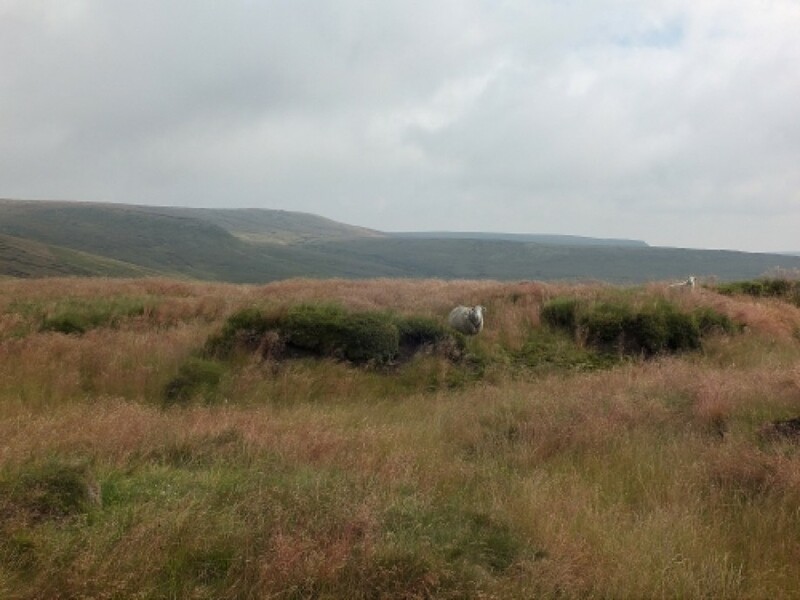 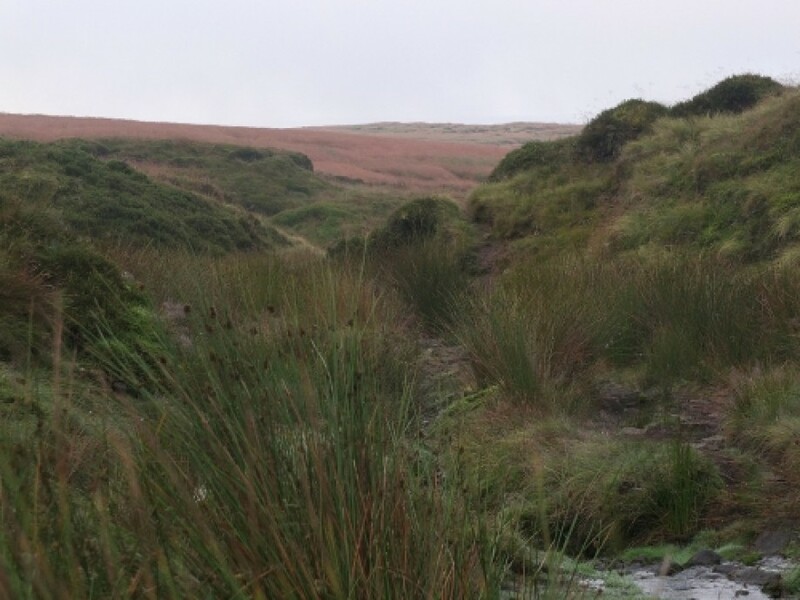 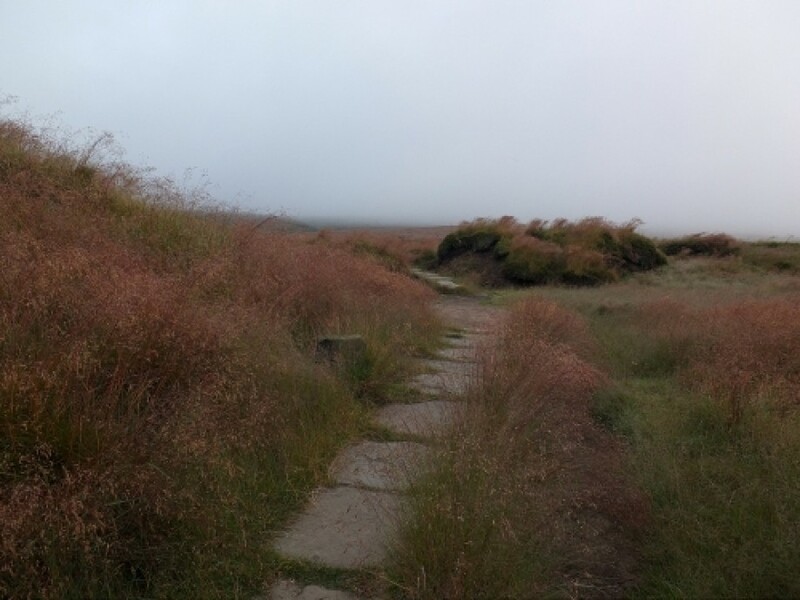 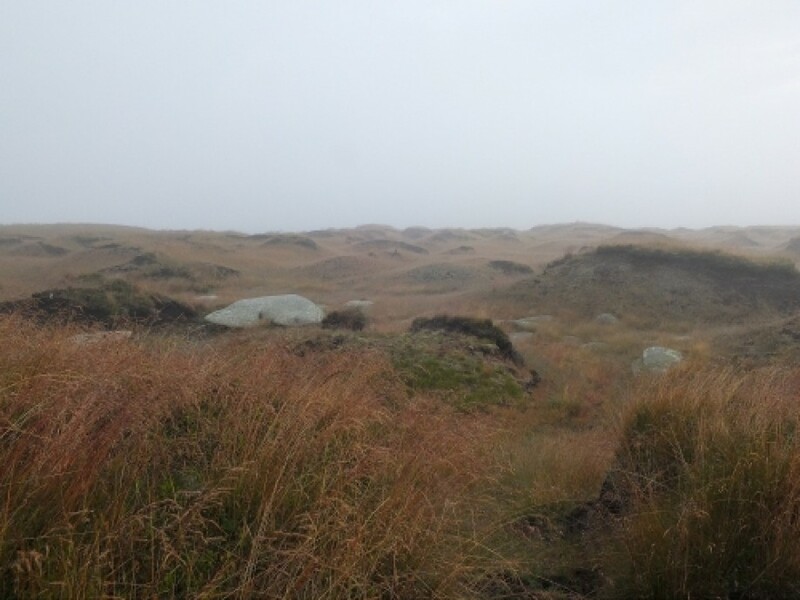 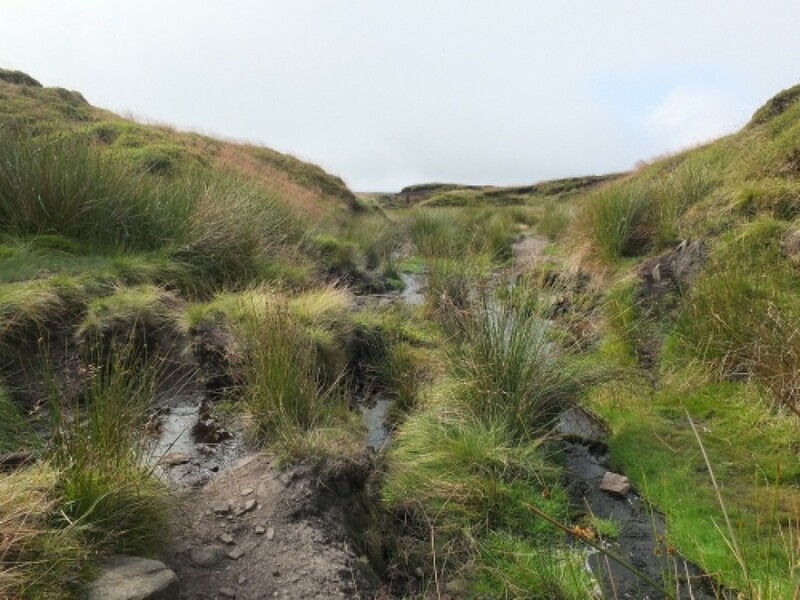 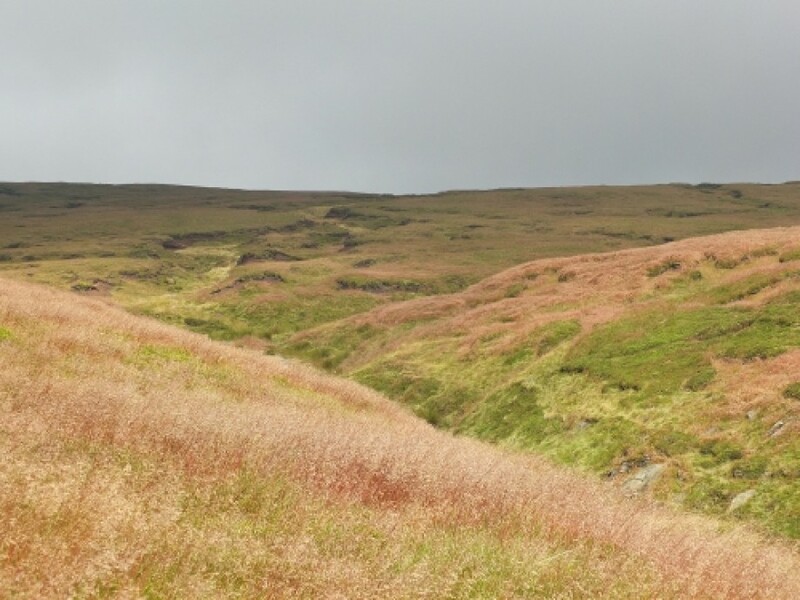 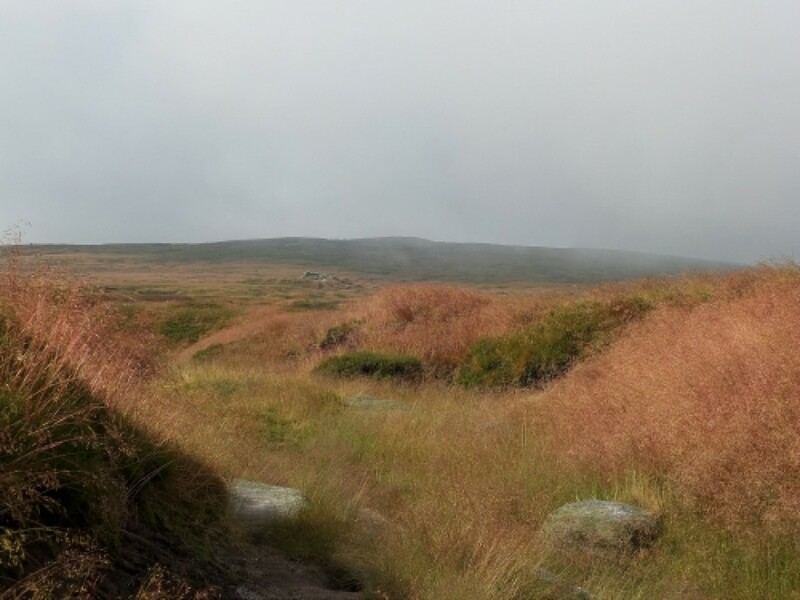 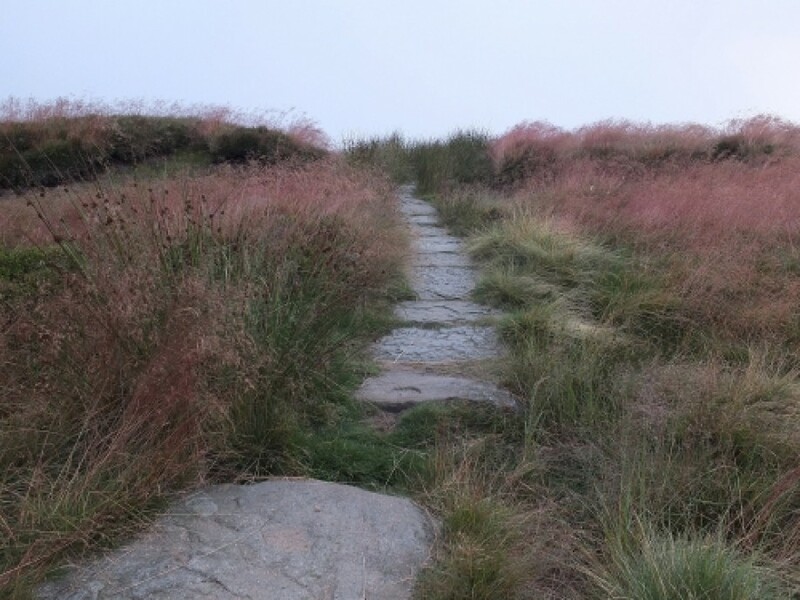 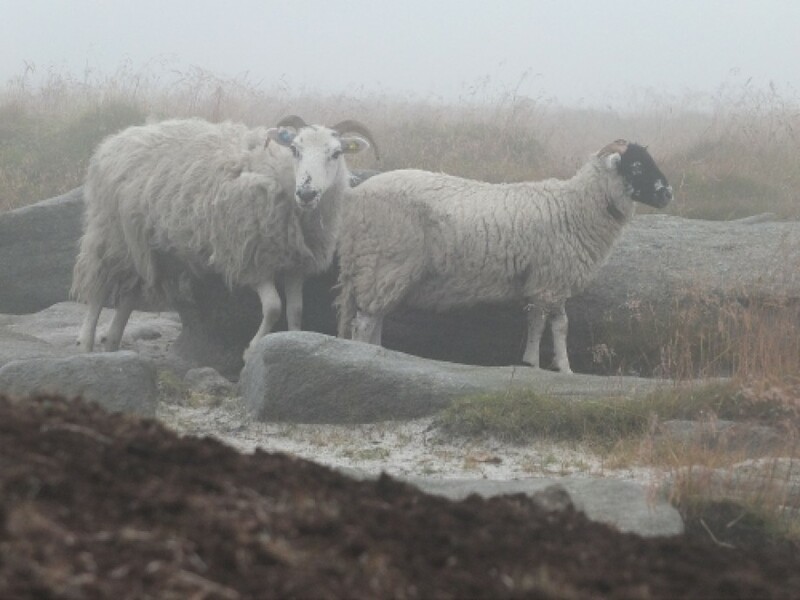 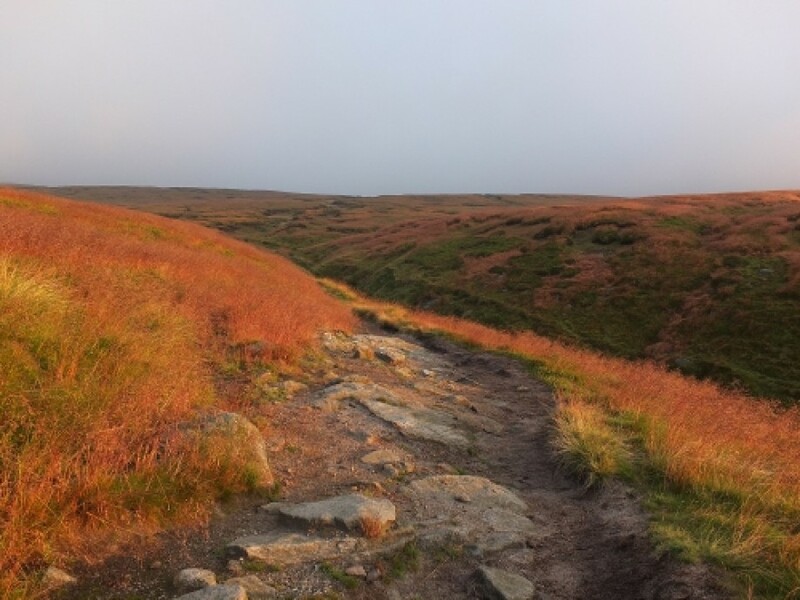 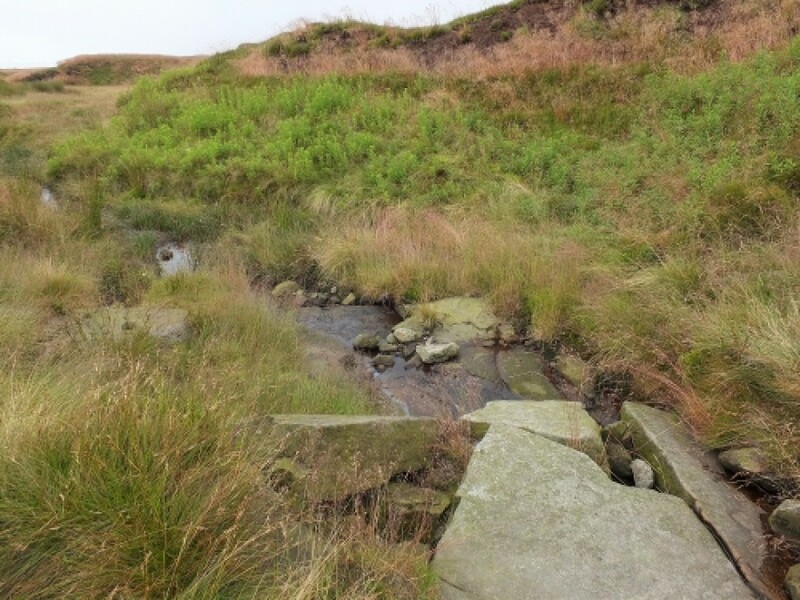 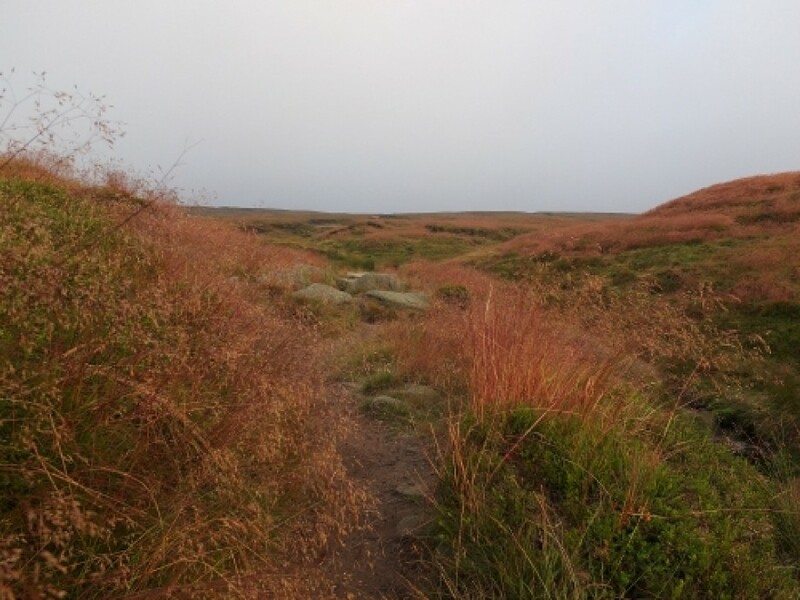 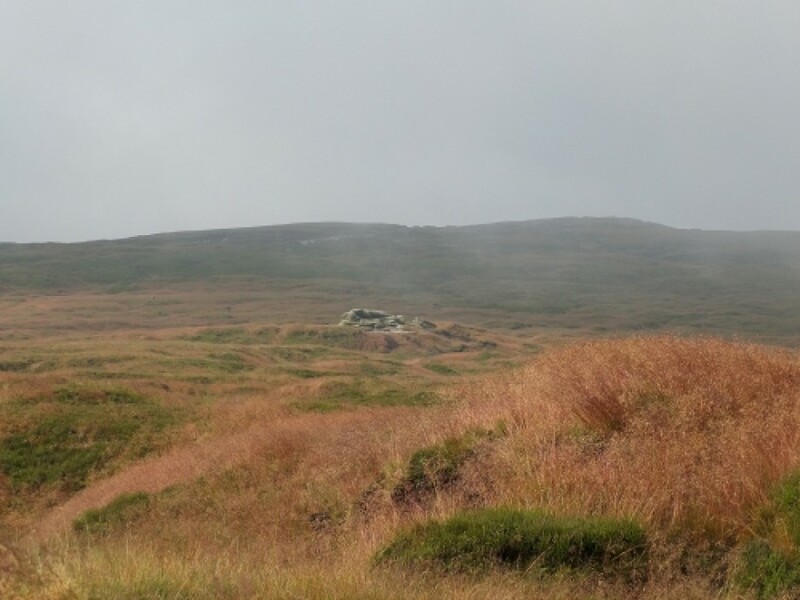 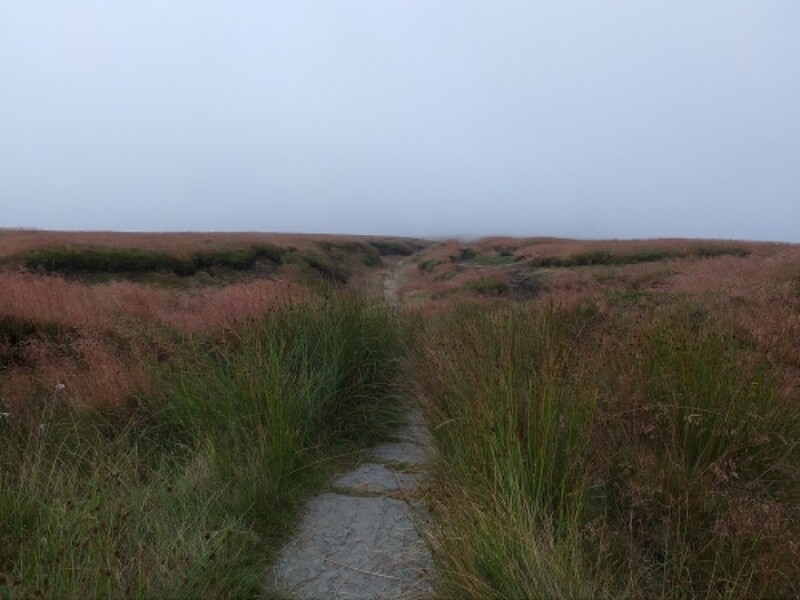 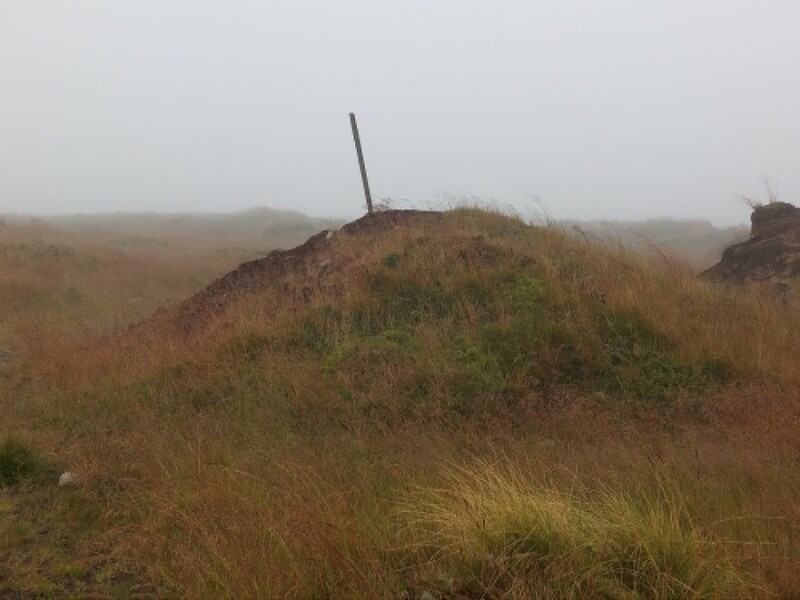 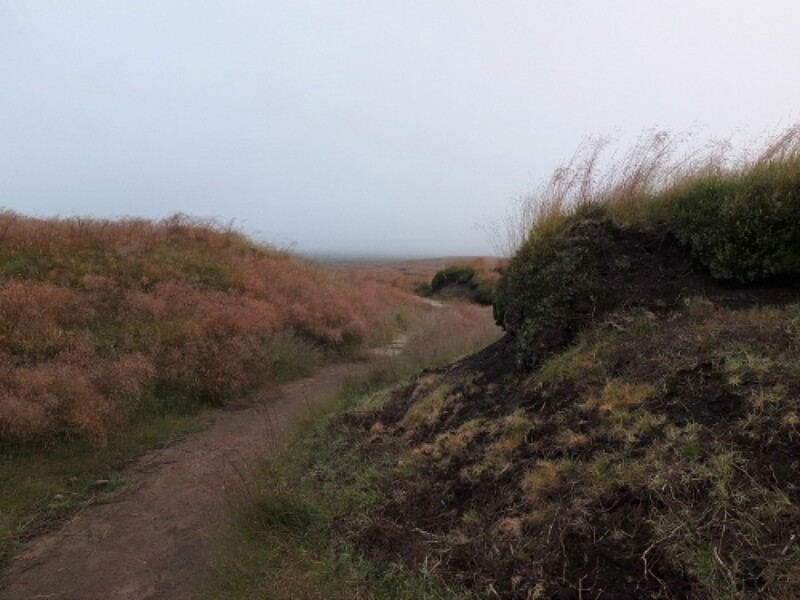 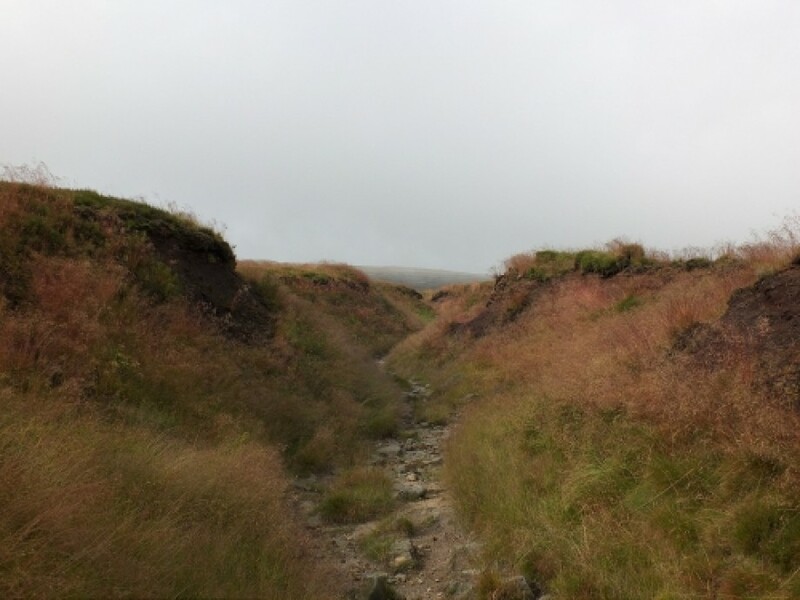 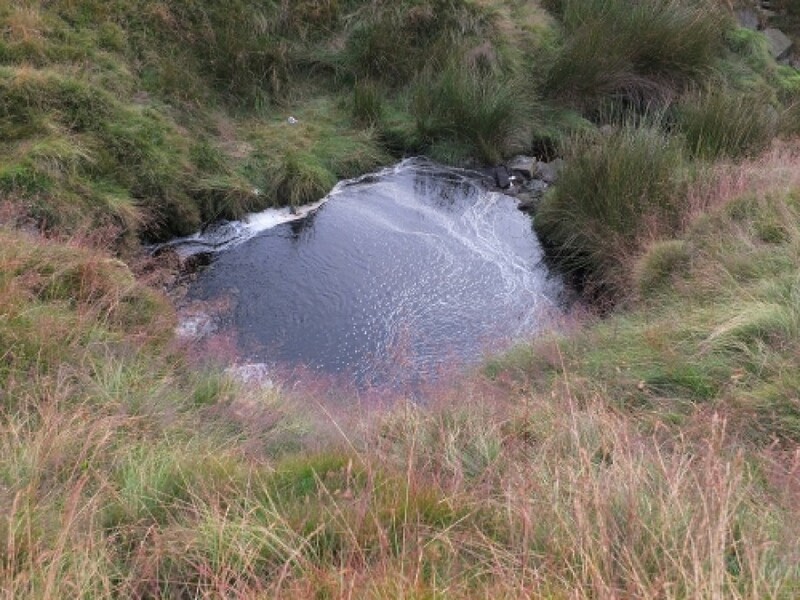 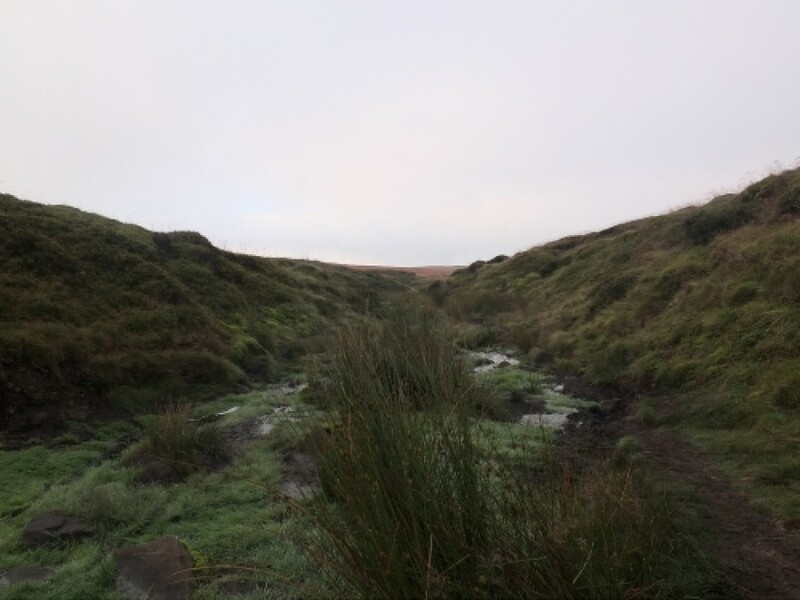 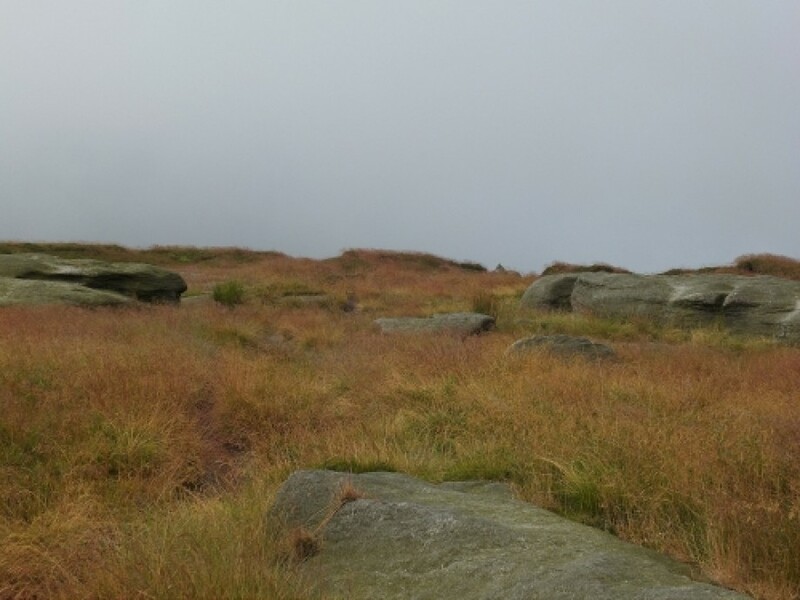 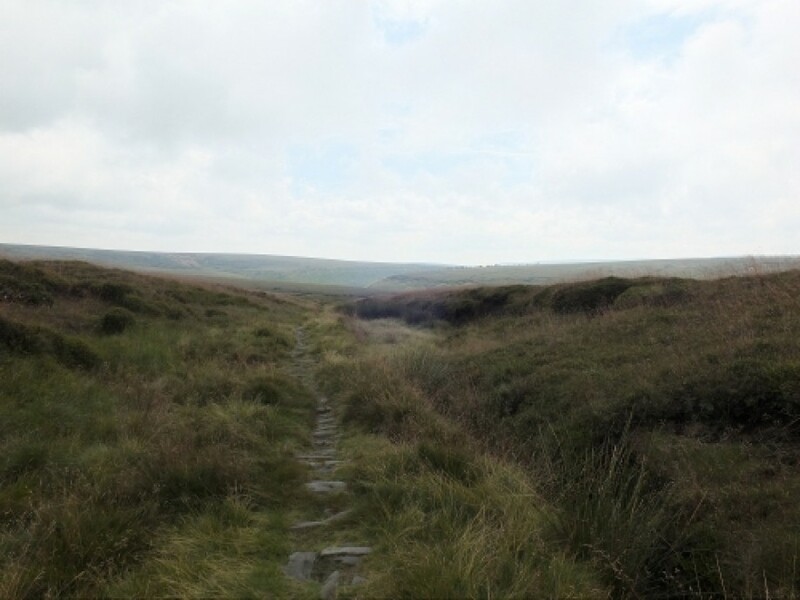 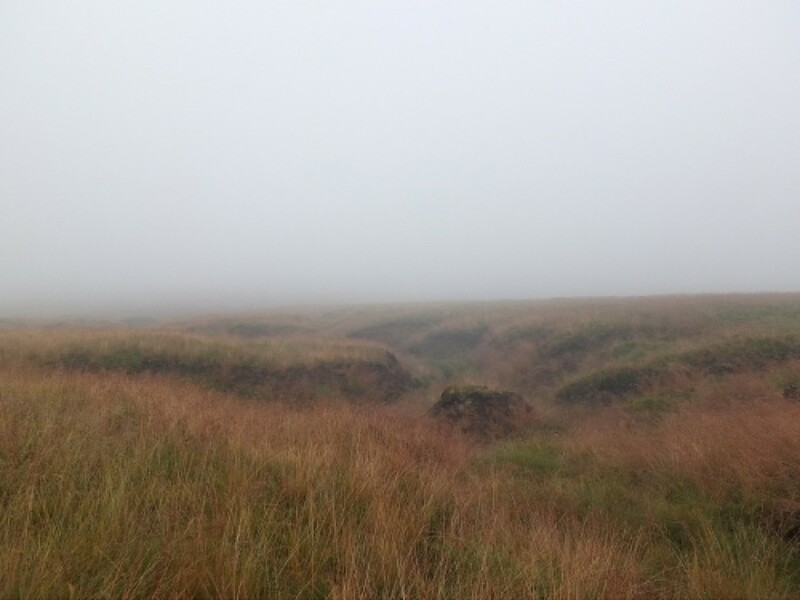 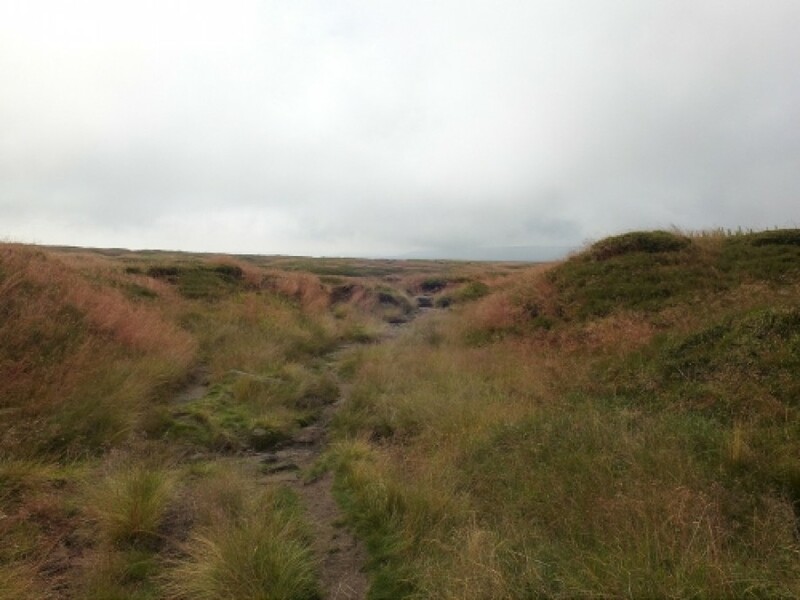 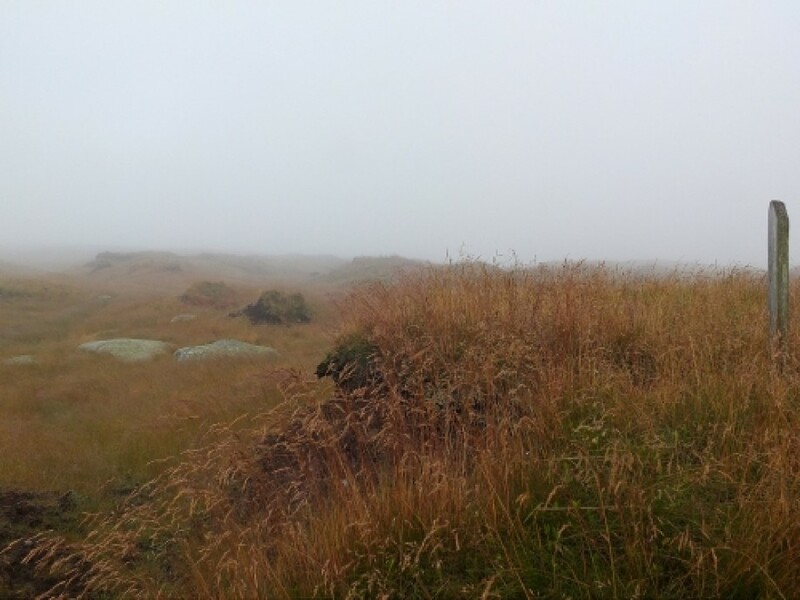 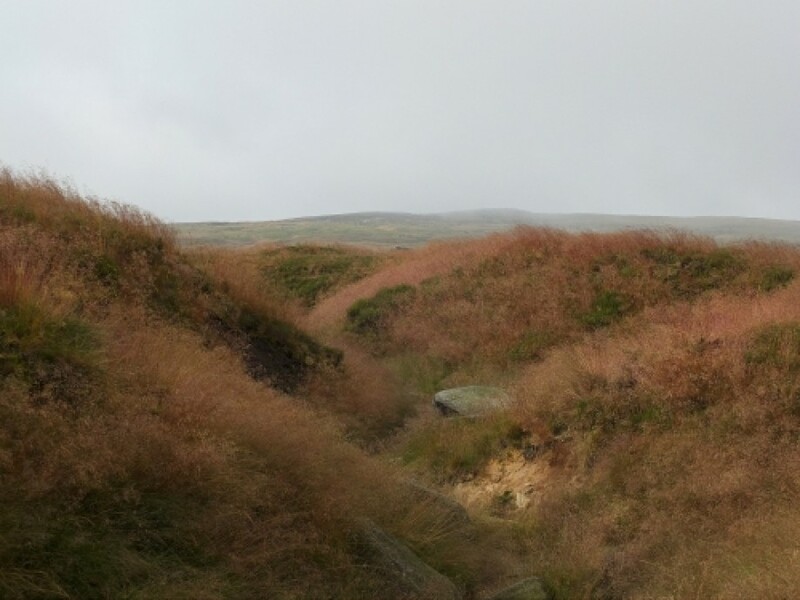 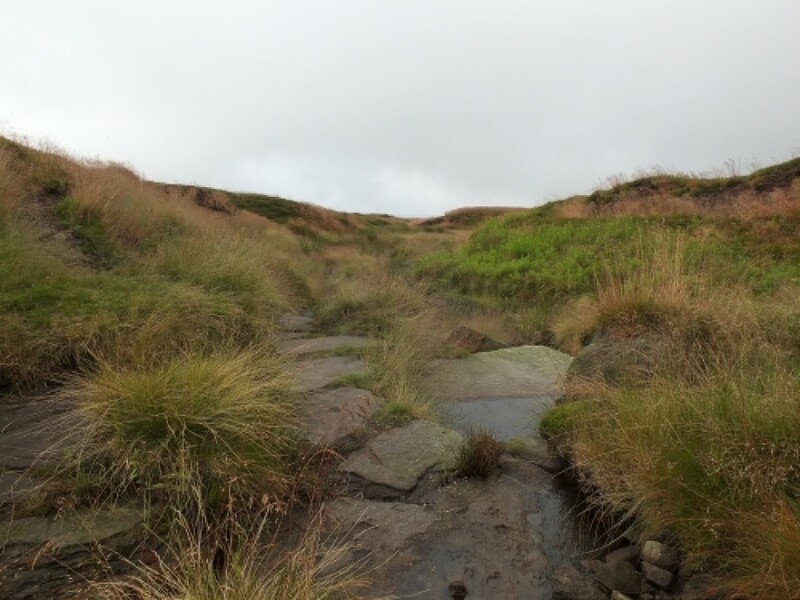 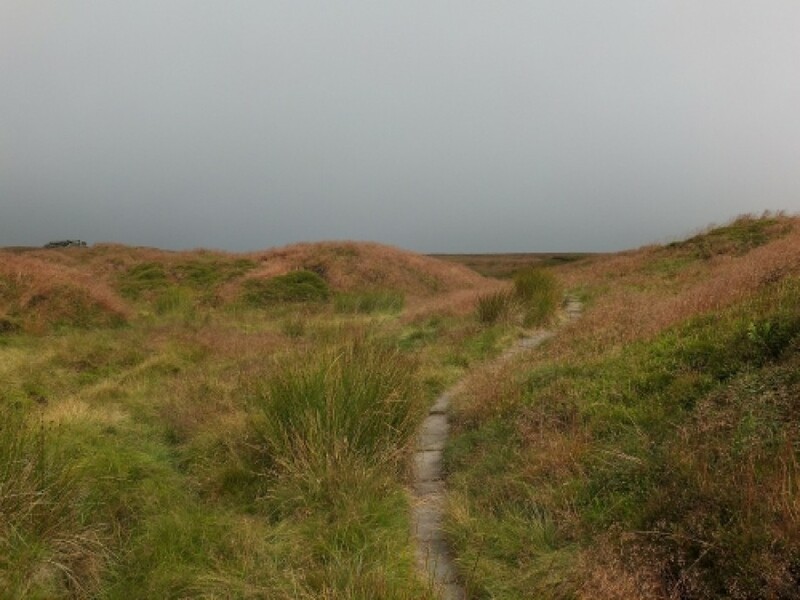 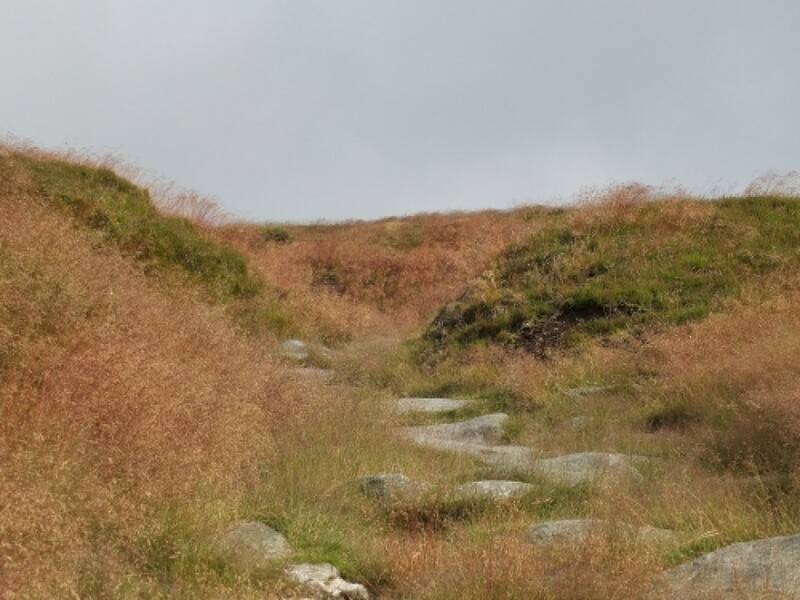 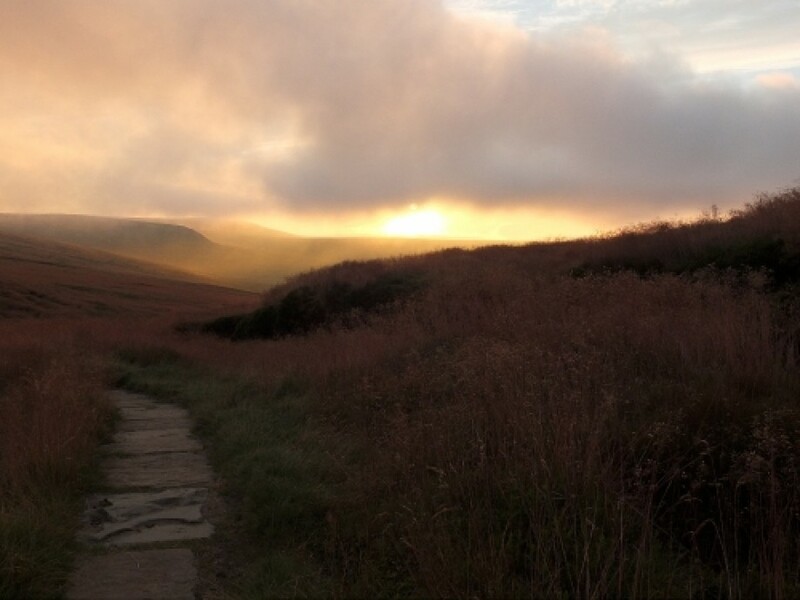 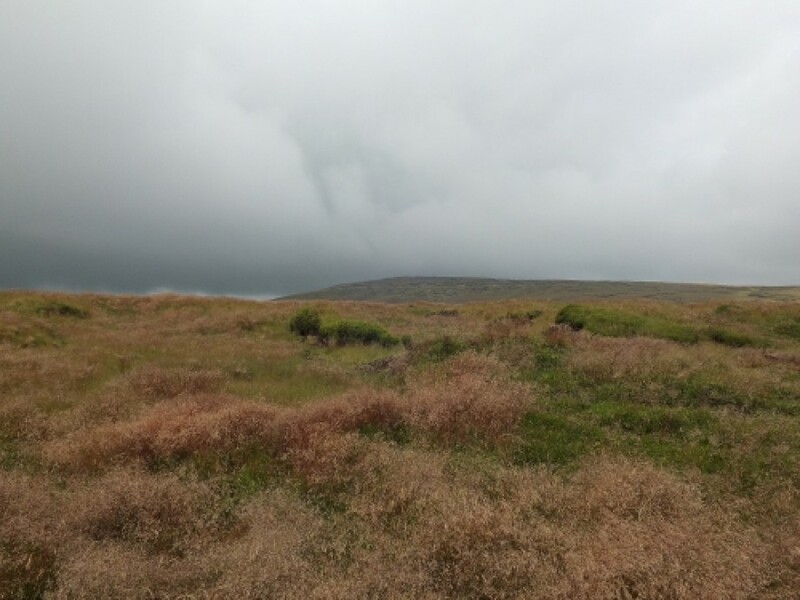 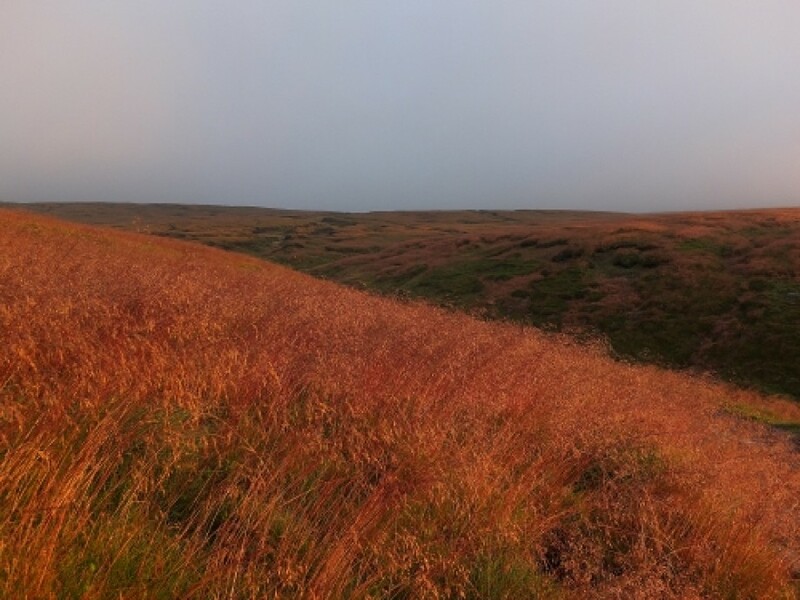 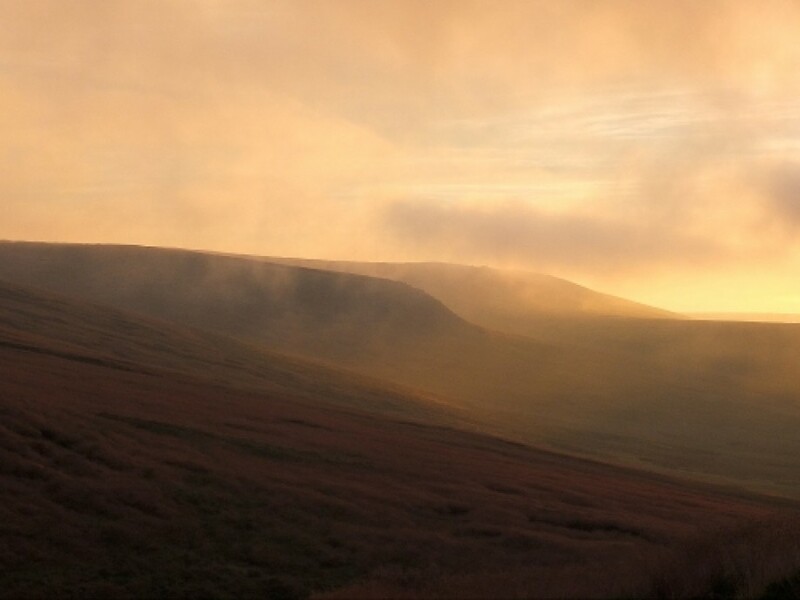 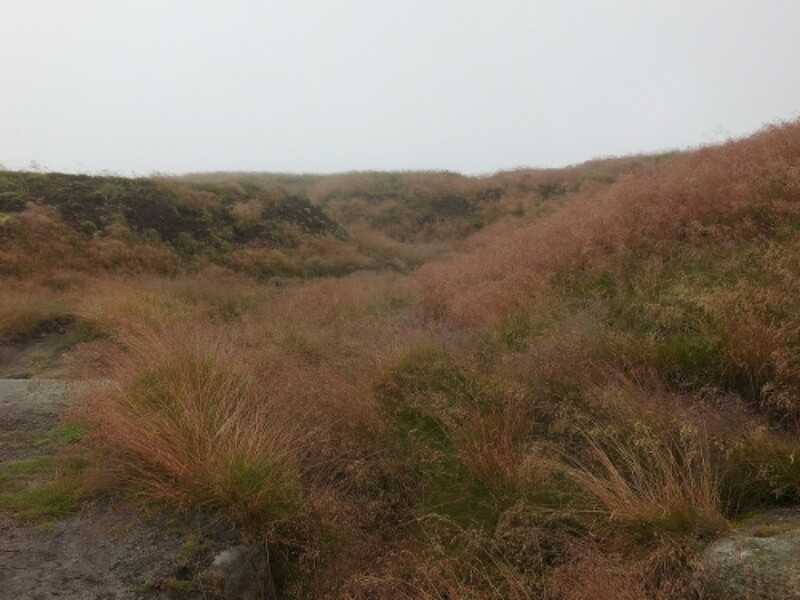 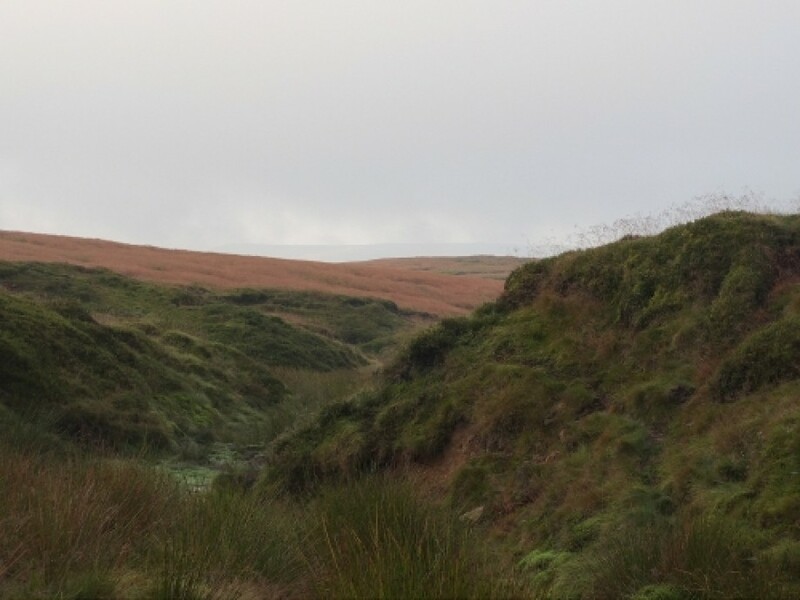 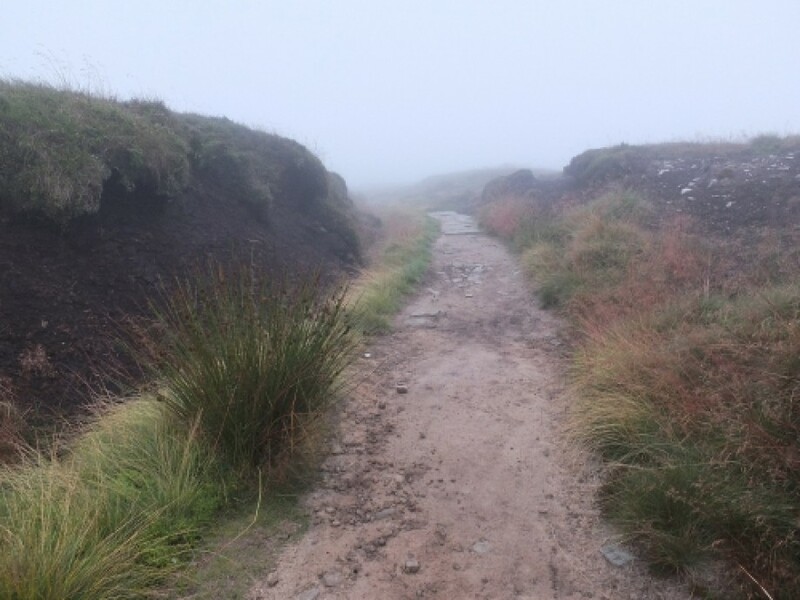 So I continued .The slight increase in pain from the knee , and the total lack of visibility at Bleaklow Head should have discouraged me , but ,no , I continued on towards the headwaters of Near Black Clough . 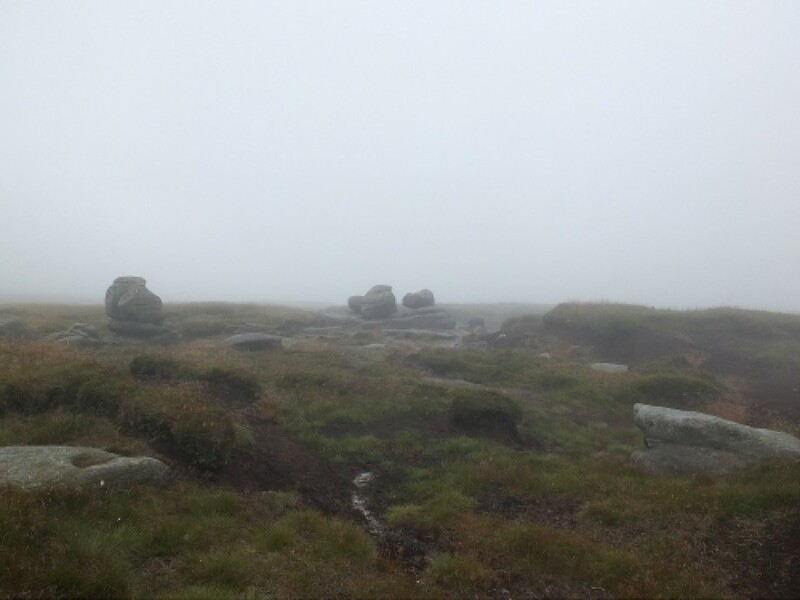 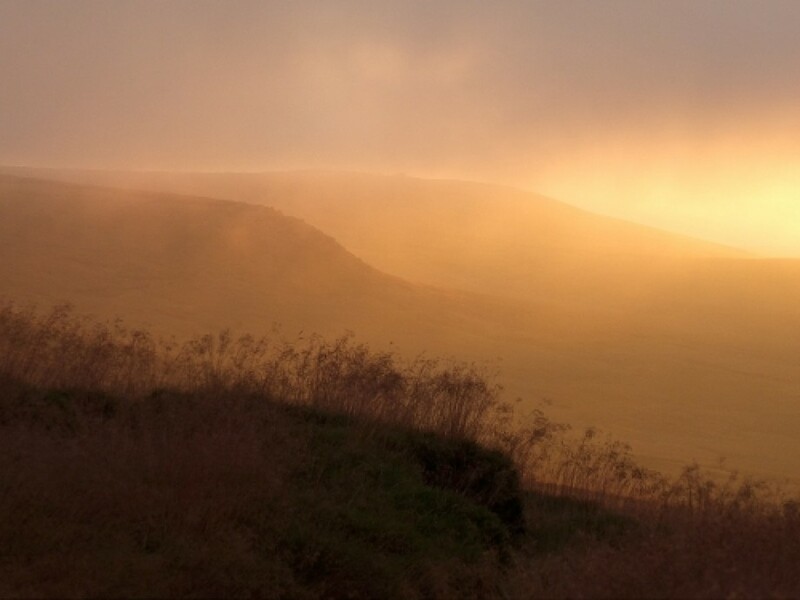 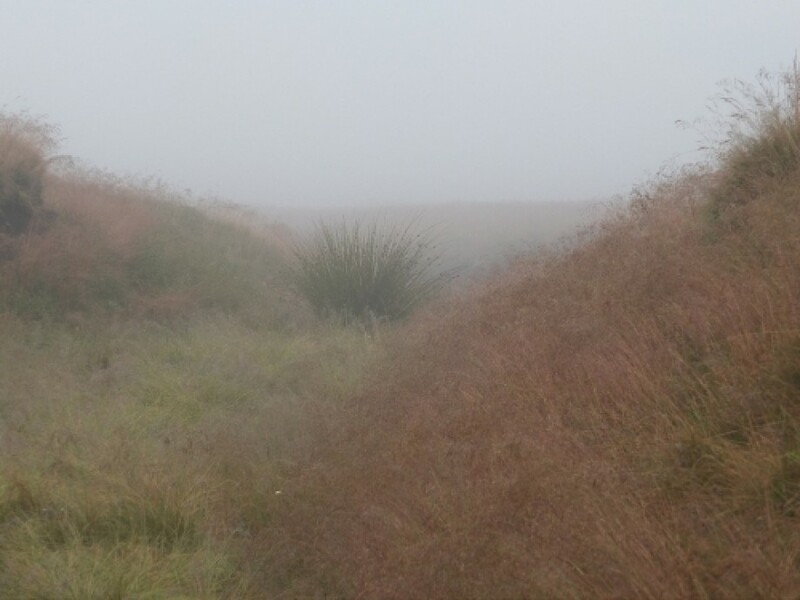 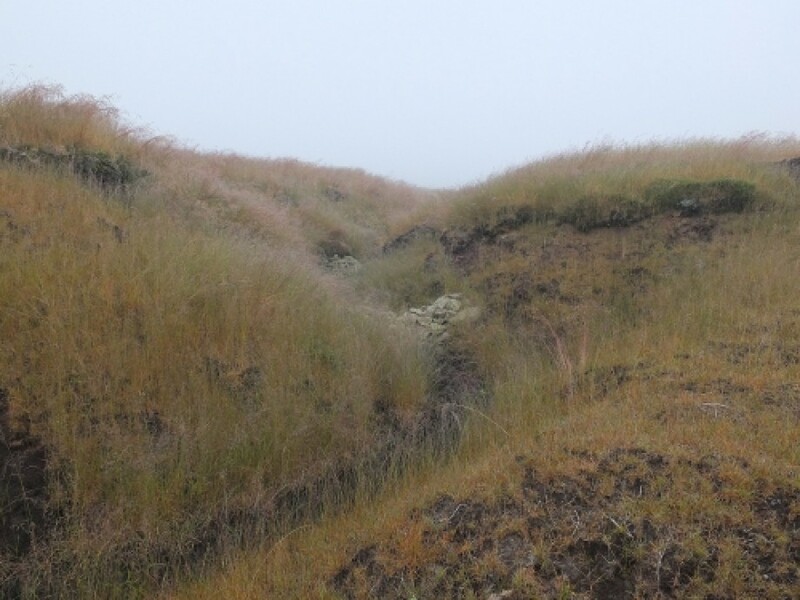 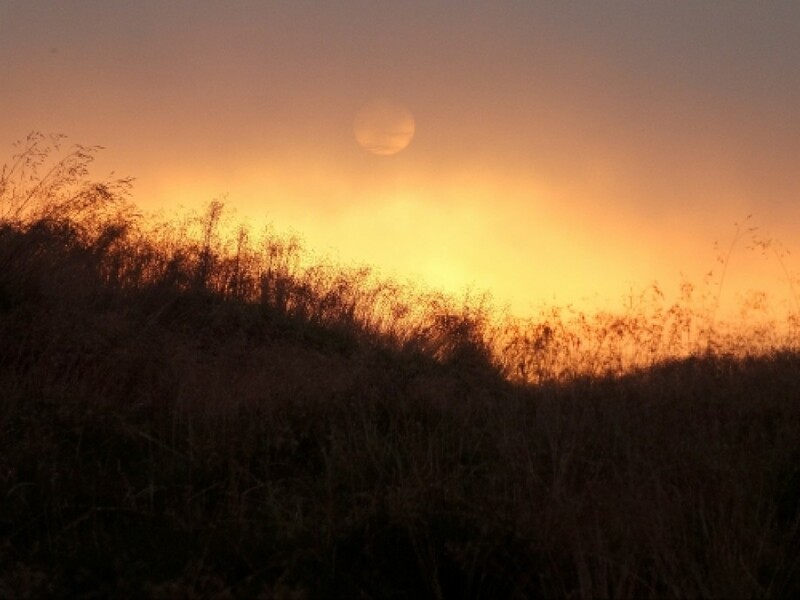 I finally came to my senses halfway across the slope to the Stones .It would have helped to use the compass there and then , but of course , I know these hills so well....well, I don't in mist , and did anything but retrace my steps . 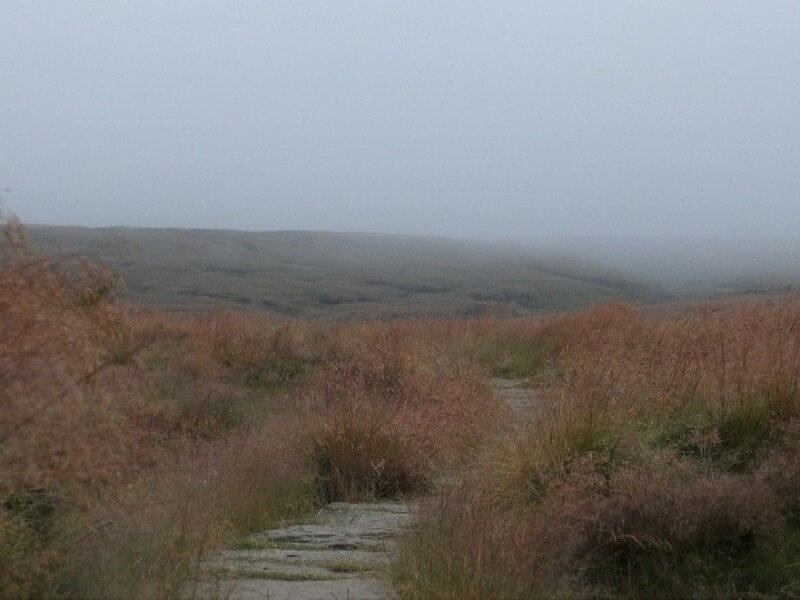 When I got to the staked line I was severely befuddled , and started off initially towards Bleaklow Stones . 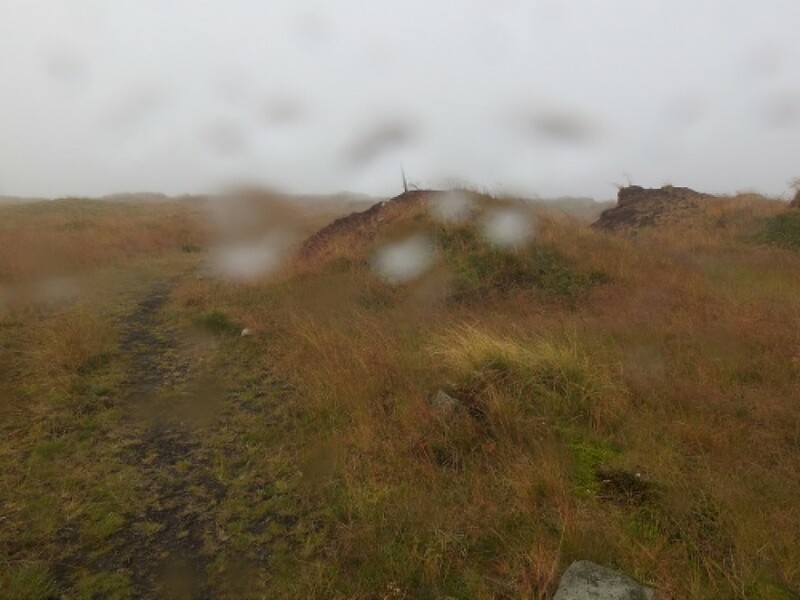 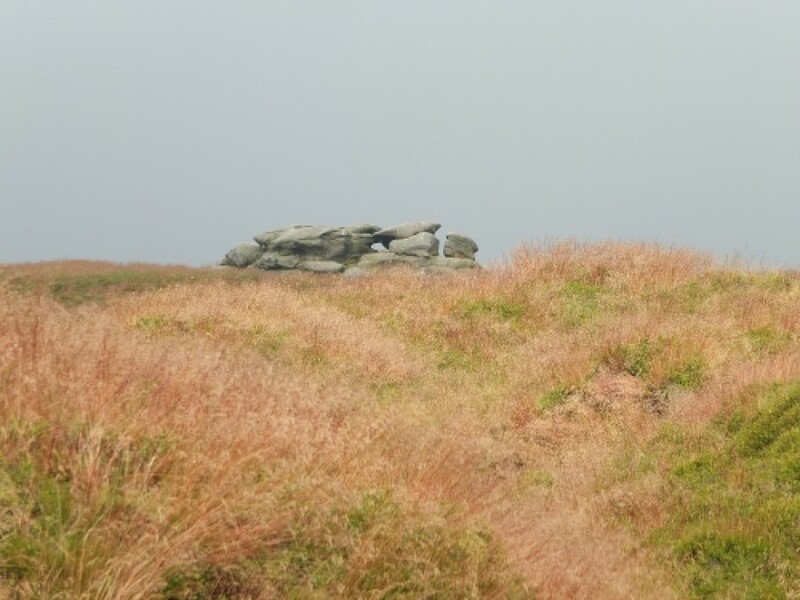 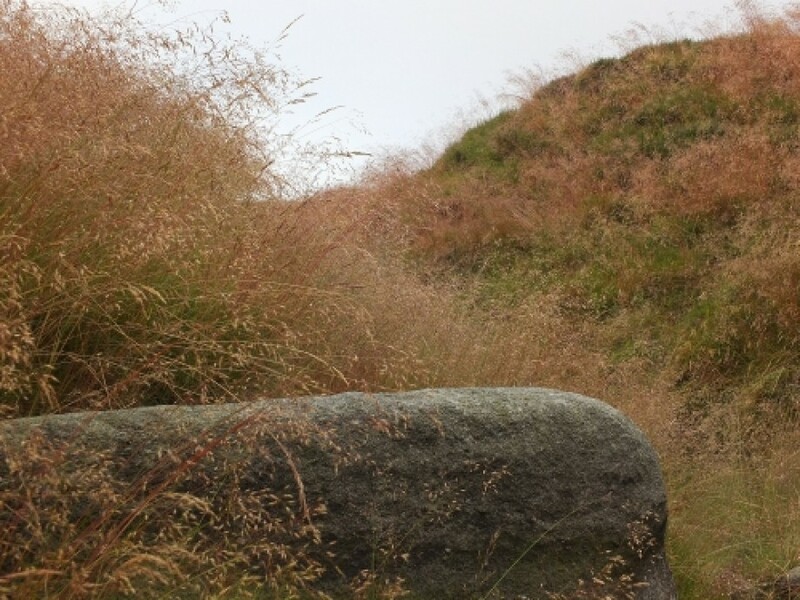 At Bleaklow Hill I stopped , thought , and started using the compass .Things then improved , with the exception of my painfully stiffening limbs , and I even felt up to a quick visit to the Wain Stones . 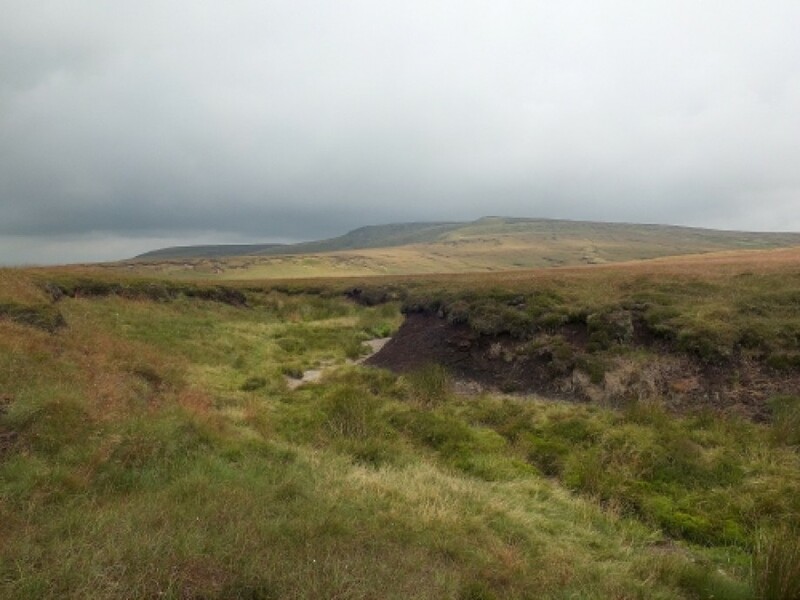 A bite to eat , a second look , and I was happy that I could walk off down the Pennine Way , albeit slowly . 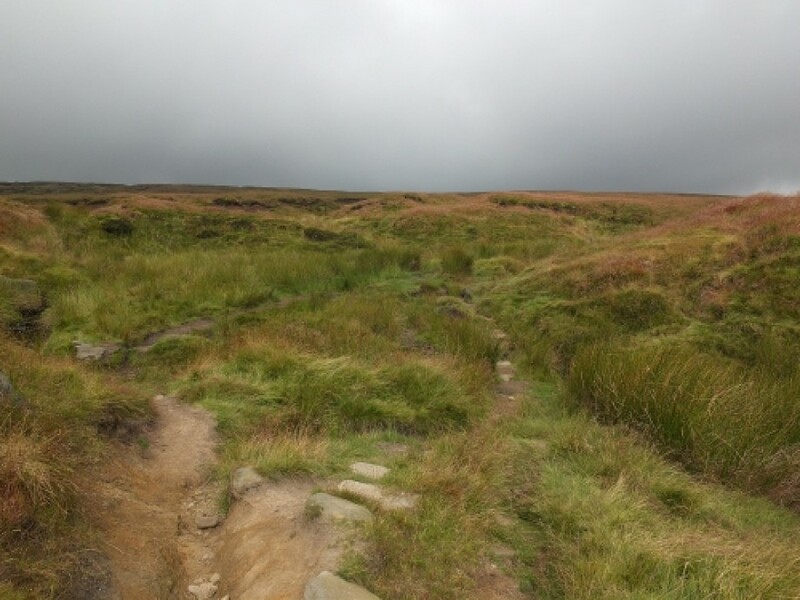 Although my knee was by now extremely swollen , the cartilage and the patella were undamaged , and the ankle was just strained rather than sprained . 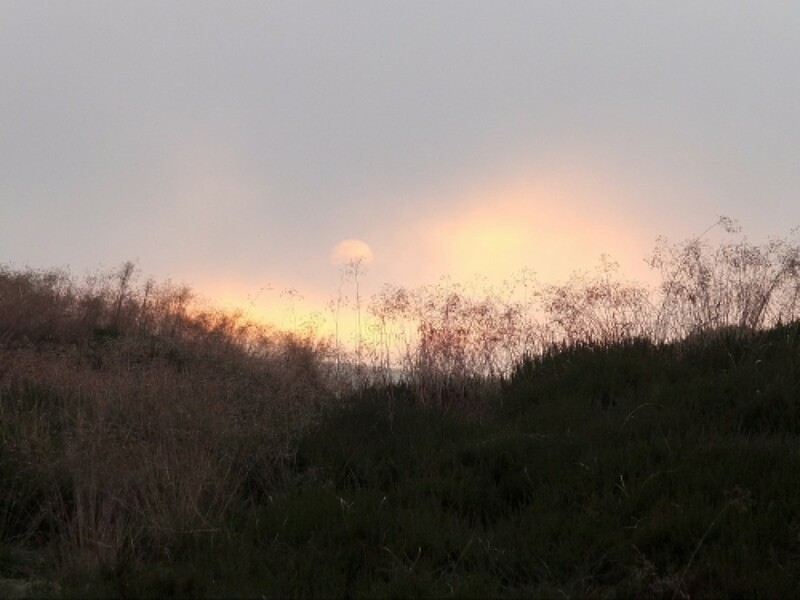 Heavy-duty painkillers from the first-aid kit helped .So ended the day . 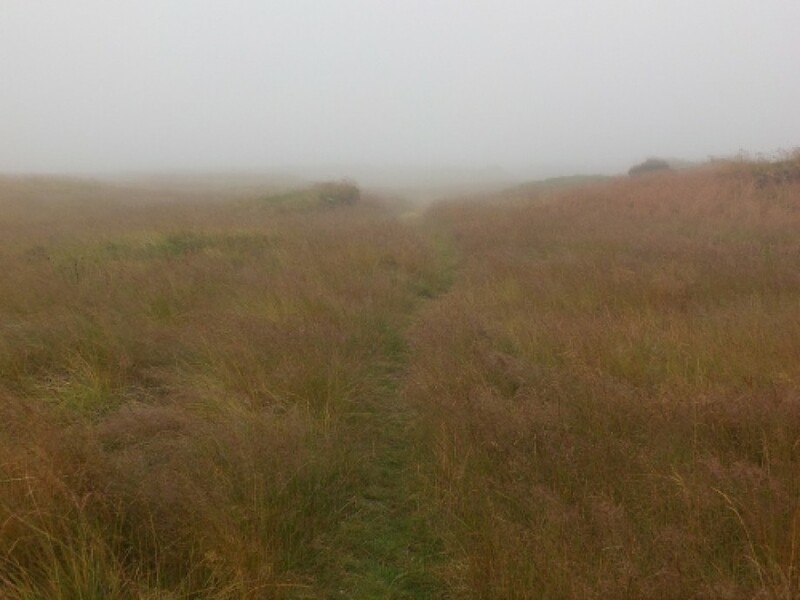 Not really a walk , although it was quite an expedition . 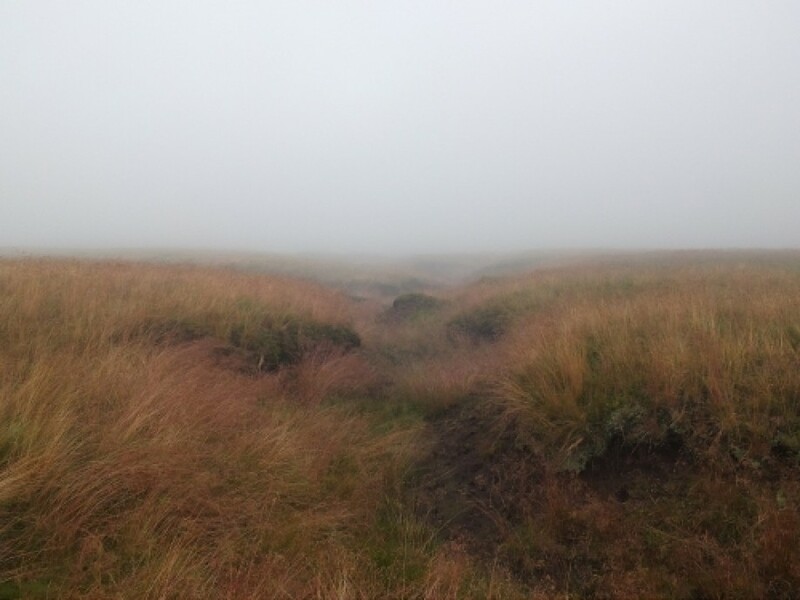 And certainly not up here for anyone to retrace . 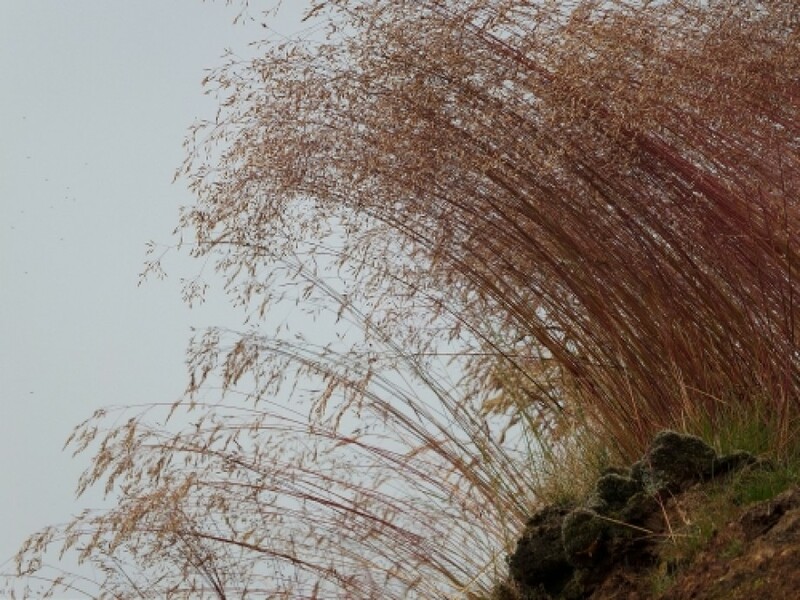 But it's a good reminder that things can go wrong , and escalate faster than your brain computes .